Whether you prefer creamy vanilla or cool ivory, our collection of cream shutters will create a timeless look at your window. With the palest hint of primrose, this soft shade is perfect for you if you want to add a wash of colour to a neutral scheme. We've upped the glamour stakes with cushions in sparking silver and frost, and chosen blush ink accents to breathe warmth into the scheme. Tier-on-tier shutters in Bisque from the Windsor range. Tier-on-tier shutters offer the ultimate in flexibility, as the top and bottom halves work independently of each other. These beautiful neutral shutters are crisp against contemporary grey and mustard surroundings. These exclusive pastel shades pick up on the current trend for coloured shutters in the home. These contemporary hues work with any decor and across the seasons, enhancing the brightness of the summer sun and lightening dark wintry days. 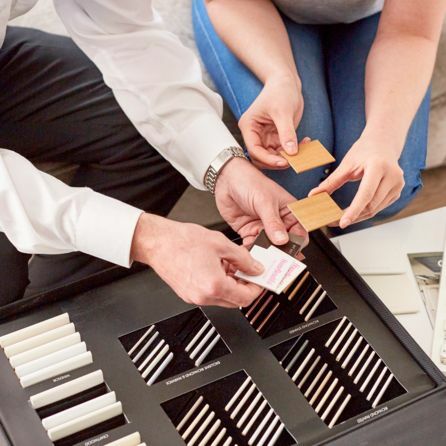 Let your home shine inside and out with made-to-measure cream shutters from Hillarys. Our sophisticated designs look simply stunning and are made from the finest quality materials, so they’ll look great no matter where you view them from. Cream shutters work in just about any interior. You can pair them with neutral furnishings in white, wood and wicker for a relaxed New England vibe or mix it up with bold colours and patterns. Either way, your cream shutters will be the star of the show. If you’re set on cream but not sure of the exact shade you want, leave that up to us. We’ve a wide range of colours available – including subtle off-whites, delicate pearly hues and soft ivories, so there’s something for everyone. Our advisors will talk you through the options and help you decide what’s best for your windows, as well as offer expert advice on all the different styles and finishing touches we offer. 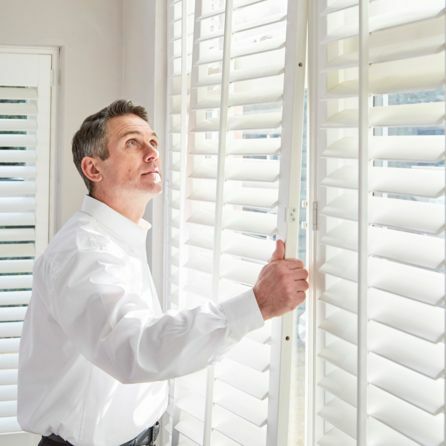 All Hillarys cream shutters are made from the finest materials and have a beautiful hand-crafted finish. They’re made-to-measure to your exact specifications, so will fit your windows perfectly and last for many years to come. So, book your free home appointment today and discover how classic shutters can transform your home’s appearance – both inside and out.